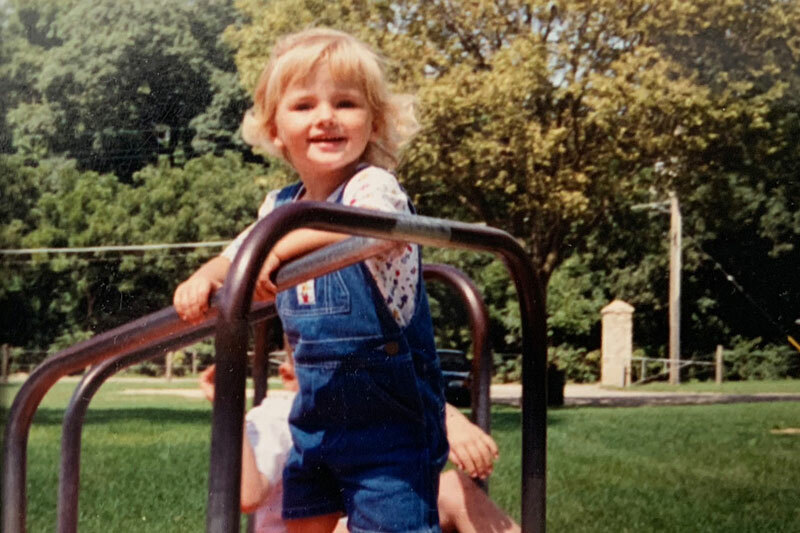 Having moved at least 10 times before she was a teenager, Rebecca Einhaus found what she always longed for during her first visit to Aurora University — a sense of home. It was not an easy path to Aurora University, but it was one inspired by the generosity of nonprofit agencies that helped lift her family out of hard times. The daughter of a single mom who struggled to make ends meet, Rebecca’s family was often homeless and even spent an extended time living in a domestic violence shelter when she was younger. Rebecca’s AU experience started when she toured the campus as a high school student. She always thought she wanted to attend a large state school, but once she visited AU she fell in love with the personable feel of the campus. She decided to apply — and not only was she accepted, she was also awarded a generous scholarship. That meant a lot to Rebecca, who worked 40 hours a week while attending college full time. It was also supportive faculty that played a large role in her success. In addition to school and a job, Rebecca balanced internships during her four years in college. She was able to do this because she had regular conversations with her professors about her responsibilities in and out of the classroom. They not only supported her schedule and priorities, they worked together to ensure she could meet the expectations of her classes. One of those discussions led to the decision to become a double major. Rebecca started at AU as a political science major. 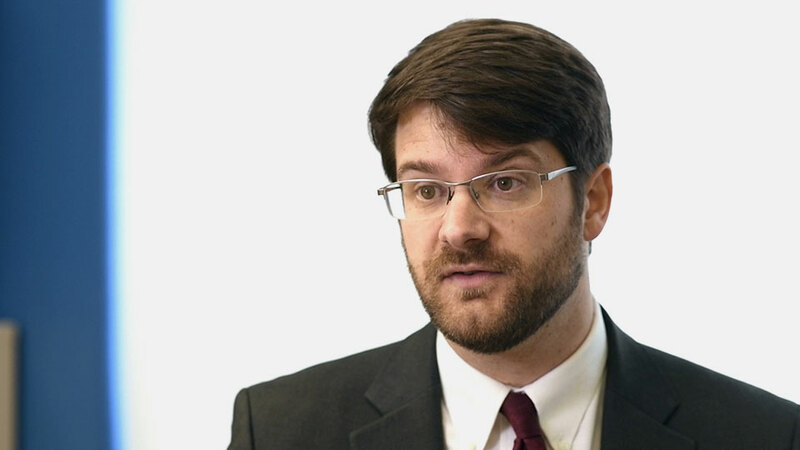 However, during a conversation with Amir St. Clair, executive director of the Wackerlin Center for Faith and Action, she expressed an interest in working for a social services agency. Amir encouraged her to pursue the leadership studies major with a nonprofit leadership concentration. She did and with the help of an AU advisor, an academic plan was created to ensure she would graduate in four years. Rebecca views politics and nonprofits as very complementary. She says that being able to understand how systems work will be beneficial to her career. She also looks forward to applying her political science knowledge to advocacy work at the local, state, and national levels. 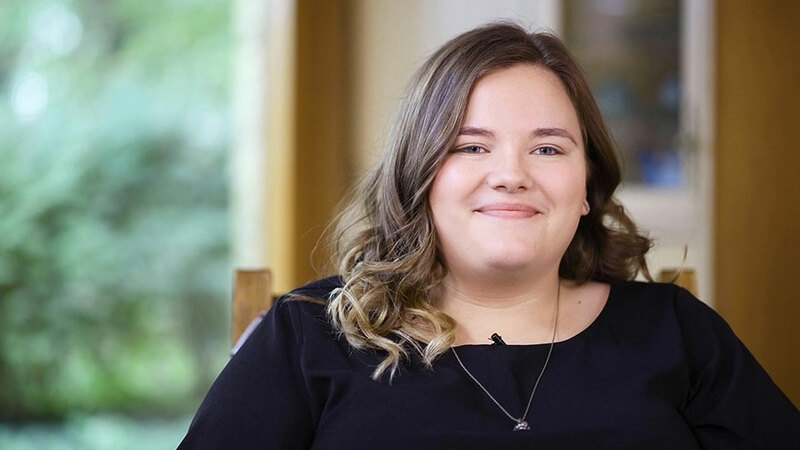 While Rebecca understands how her education and university experiences can help shape her future, she did have questions when she first arrived at AU. Like many new students, she remembers it taking some time to adjust to college life. However, she soon learned that the more she was exposed to, the more she enjoyed her college experience, which led to meeting new friends and being open to different opportunities. She also began to realize that becoming involved on campus — outside of the classroom — provided experiences that will help her better serve others going forward. InterVarsity exposed her to different religions and provided a comfortable setting for conversations about faith and diverse viewpoints. The Leadership Education And Development (LEAD) program taught her how to move organizations forward. 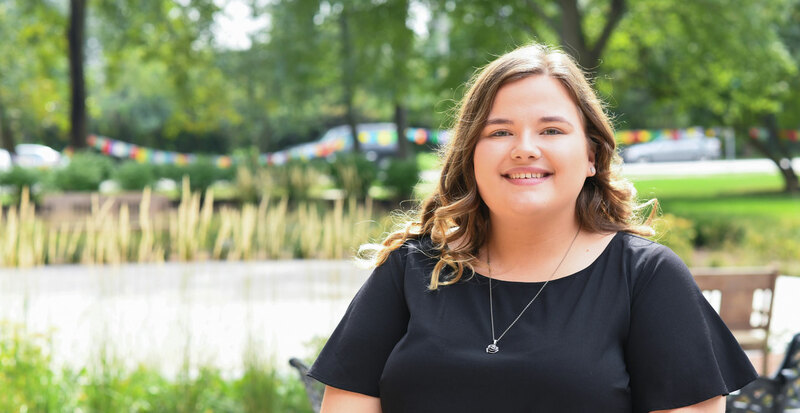 She was so inspired by campus activities that she started the Political Science Club to help connect what she was learning in her classes to current events. Rebecca’s passion for being involved extended into the community as well. Under the guidance of three different professors, she secured internships with local nonprofit organizations. 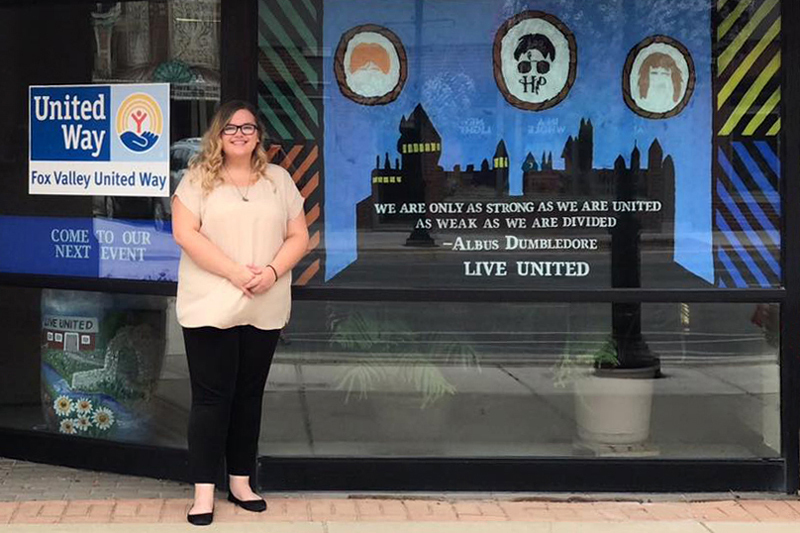 Her first internship was with Fox Valley United Way, which solidified her desire to work in a nonprofit setting. She also interned at Hesed House, one of the shelters she received services from as a child. That internship led to a summer job through AmeriCorps VISTA, which she describes as a domestic Peace Corps. 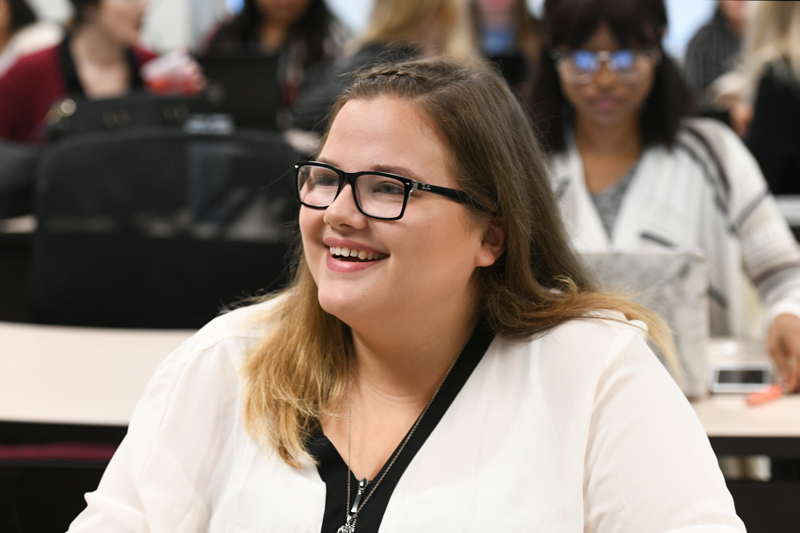 And while Rebecca did graduate with a bachelor’s degree in spring 2018, she is still an AU student as part of the university’s Master of Public Administration Plus One program. This program, which started immediately after her undergraduate experience, is allowing her to earn a graduate degree in one year. That’s a powerful realization from someone who wasn’t always so sure about her future. For Rebecca, the decision to attend college stemmed from wanting to create a better life for herself. She’s done that both because of college and a commitment to improving lives of those in her community.